Volunteers bring hope to those suffering from legal problems throughout our state. Jennifer shares her story of volunteering to bring immigration assistance to her community in Humboldt. Jennifer Alejo was born and raised in Los Angeles, California. Currently she is attending Humboldt State University pursuing a double major in Political Science and International Studies with a minor in Communications. Jennifer enjoys advocating for immigration rights and works every day to dismantle systems of oppression. She is also a co-founder of Finding Resources and Empowerment through Education (FREE), the on-the-ground partner for a recent Justice Bus Trip to Humboldt County. When she’s not busy with school, work, and organizing Jennifer enjoys spending time with family and friends. We are honored that Jennifer allowed us to interview her for this guest blog post, one of our series during National Volunteer Month. 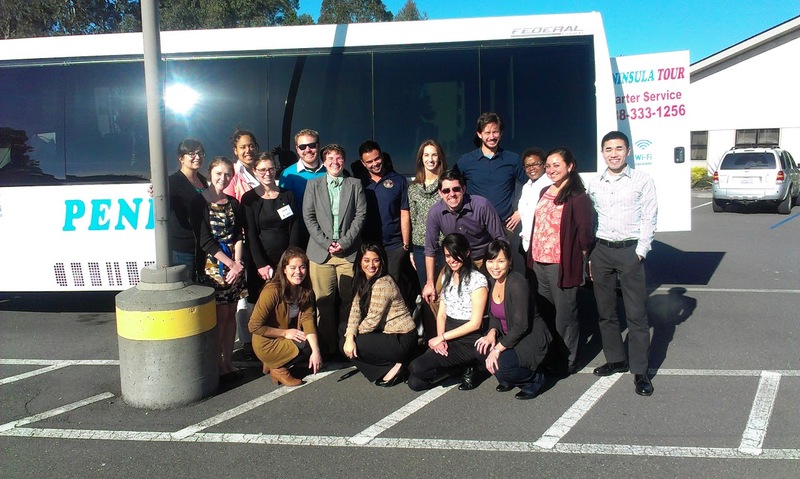 Jennifer, why did you volunteer with the Justice Bus trip to bring services to Humboldt County? I love volunteering to be able to help those who are not represented. While I currently live in Humboldt County, I grew up in Los Angeles County, and my family is still there. Living in Humboldt County has been really different not only because of the environment but because unlike Los Angeles, Humboldt County has no resources for underrepresented communities. 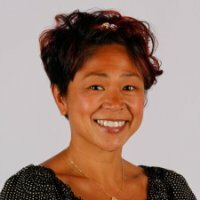 My community in Humboldt really needs access to legal assistance, particularly for immigration services now that there is the new immigration relief program for youth who came to the US as children (“DACA” or “Deferred Action for Childhood Arrivals.”) However, for people living in Humboldt, the closest immigration attorney is 300 miles away. People already have trouble paying for a lawyer, now imagine paying for traveling and lodging on top of that. It was impossible for my community members to fix their immigration status in this situation. So, during my last visit to Los Angeles over the holidays, I made it my mission to look for resources for my community in Humboldt. I called different non-profits, sent out emails, looked for networks on facebook – basically I did anything possible to see if I could find at least one organization to help bring immigration services into Humboldt County. The problem was that the organizations that I could find, don’t have enough funding to bring their services all the way to Humboldt. I refused to let this discourage me, and I am really glad I didn’t because someone mentioned that I should look into a project called Justice Bus. 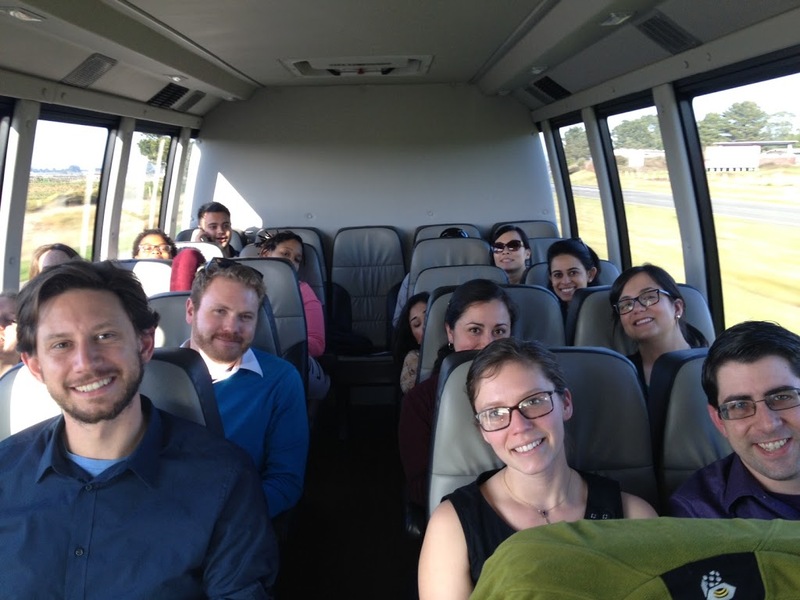 Students from University School of Law traveled with the Justice Bus Project over 300 miles to Humboldt, where they partnered with Jennifer and FREE to deliver two days of free legal clinics. The name itself already was interesting, and so I quickly contacted OneJustice and told them about Humboldt County’s situation. I remember being really worried about the money. I explained that I was a student and that I had no money, but that I would be more than willing to look for donors, I was relieved when Lauren, a Legal Fellow at OneJustice, told me that no money was needed. The type of work that the Justice Bus Project provides for isolated rural areas is so important in so many different levels. It reminds people that there are amazing individuals out there who still care about them. It not only acknowledges them as humans, but acknowledges their struggle. We live in a time where humanity is not always seen and knowing that there is a group of future attorneys and attorneys out there who truly aspire to be advocates for human rights is empowering and inspirational. As I worked closely with the OneJustice staff to plan the Justice Bus trip, it reminded me that there are people who are willing to use their knowledge to help those in need and expect nothing in return. It inspired me to maybe even pursue a law degree and maybe one day be part of the Justice Bus and be the one helping families. What motivated you personally to volunteer during the clinics in Humboldt? 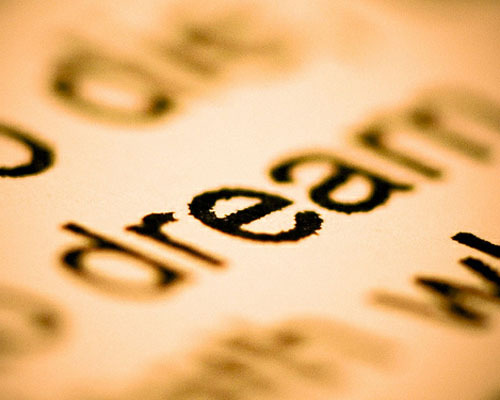 People often ask me why I do the work I do, and I ask why not? It is my job as a citizen of this world to help those who are silenced, and as someone who holds privileges myself, it is important to be able to advocate for those who can’t advocate for themselves. When I see people who have been silenced, I think of my family and the barriers that they have overcome thanks to non-profit organizations in Los Angeles. I might not be able to eliminate the systems of oppression that my community members go through, but I can provide the tools they need to empower themselves and those around them. What was the experience like during the days of the clinic? 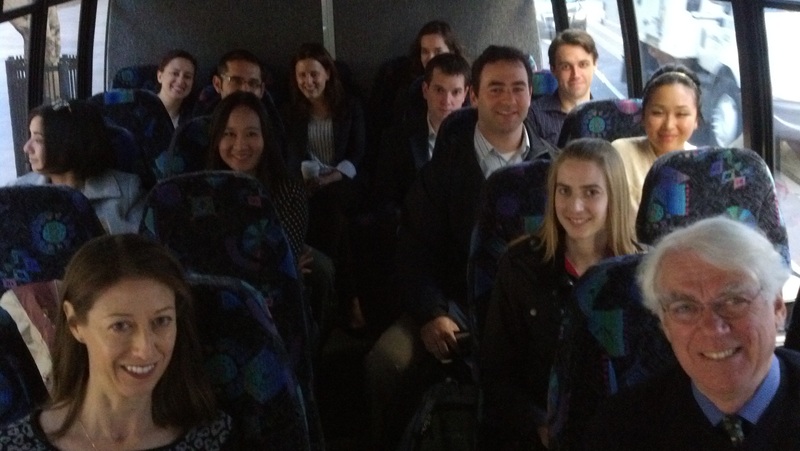 Law student volunteers from University of San Francisco School of Law join OneJustice staff on the Justice Bus trip. Busy! We were all running around everywhere trying to get organized. There were people waiting at the hall for their appointments, we were waiting for our Spanish interpreters to arrive, and just as everything would calm down, then more people came for appointments and more interpreters were needed. My phone didn’t stop ringing, as folks who needed directions were calling me, folks who were curious about the confidentiality level wanted to know more about the Justice Bus, and more. Overall, the experience was fantastic! I don’t think there are words that could express how happy I was when people were coming in and out after receiving legal advice. A lot of my community members live in fear that their undocumented status will come to light with terrible consequences. Being able to see them willing to talk to attorneys was the first step many of them took to come out as undocumented. I was really proud of all my community members who took the risk to discuss their status. Was there one particularly meaningful moment for you over the two days? There were so many meaningful moments, but in particular there was one of a youth. She came to find me after she was done with her appointment, and she told me how happy she was that she was able to get advice on her case. She told me that suddenly she felt really strong and that the future wasn’t as cloudy as she thought. That’s exactly the feeling I wanted her to feel. I wanted her to be able to know that as a scholar she would be able to succeed in her education. What made the moment perfect was the big smile in her face, and the hope I could see in her eyes that she would have the proper documentation to be able to apply for a job. There was something about that moment that gave me so much strength to continue the work that I am doing. It wasn’t the thank you, nor the big hug, but the hope I could feel now embodied her—it was beautiful. What would you say to lawyers and law students living in more urban areas who are considering volunteering for a Justice Bus trip? Please please volunteer – you don’t know how much this means to misrepresented communities who don’t have someone to speak out for them or at least explain their case in a legal sense. Families feel so empowered after receiving this advice. It gives them strength to continue with their life regardless of what barriers are thrown at them. And even though at times some of the advice given is not positive, it is still important to them to know what their status is and what to expect from the future. To any lawyers or law students who are thinking about volunteering, please now that there are so many people who are need your help – and you can use your skills and knowledge to be the change in someone’s life! I can assure you that after volunteering with the Justice Bus Project you will want to do it again, because the work is so important and so rewarding. Thank you! 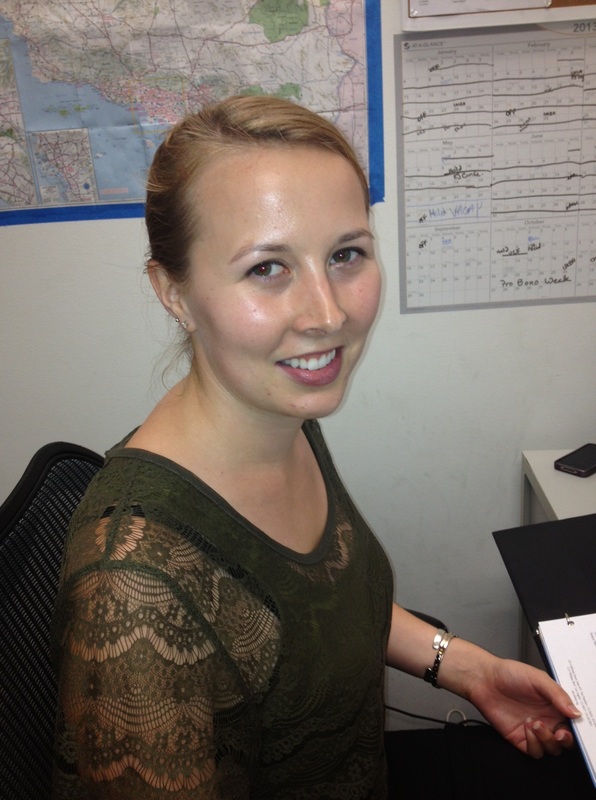 Jennifer, from all of us at OneJustice, thank YOU for volunteering and for creating real change in the world. 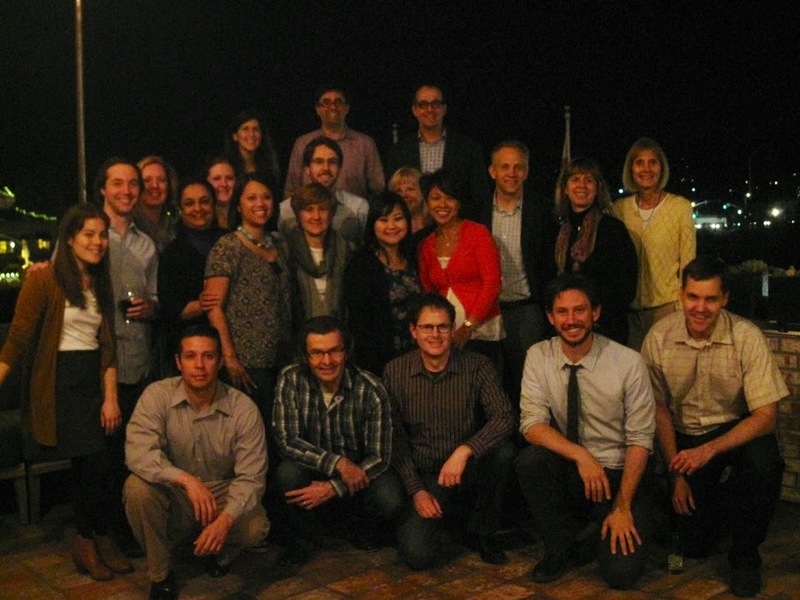 Thank you to Jennifer and all the amazing volunteers from FREE and USF School of Law! How can we stretch to reach youth in rural areas? Deferred Action for Childhood Arrivals – or DACA – offers a promise of work authorization, a driver’s license, immigration relief, and economic self-sufficiency. But only if we can get legal assistance to the youth who are eligible. So, we learned recently that youth living in Humboldt County have nowhere to turn for legal advice about whether they are eligible and how to apply for the new federal immigration relief program called DACA (short for Deferred Action for Childhood Arrivals). 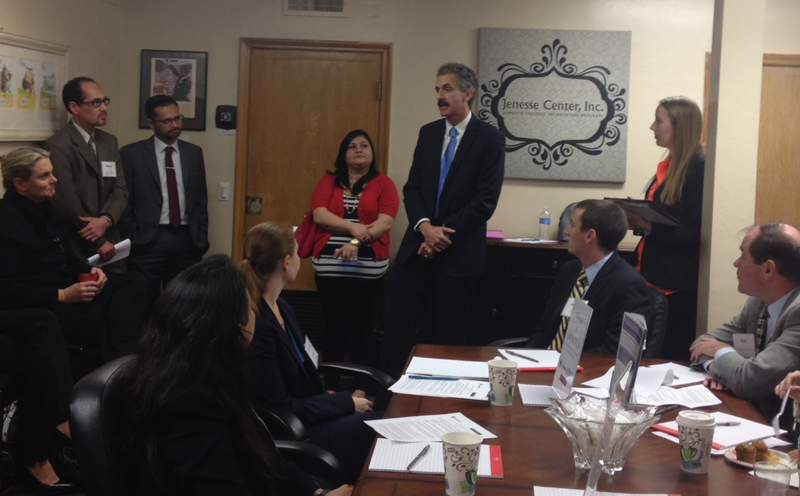 There is no nonprofit legal organization that provides legal assistance in immigration in their county. There is nowhere for them to receive free legal help to understand the program and whether they should apply – even if they were able to travel as far away as Santa Rosa. And access to the DACA program is a very big deal – it offers access to work authorization, a driver’s license — basically the opportunity to have economic self-sufficiency and help provide for their families. But without the legal assistance to understand the program and apply – the promise of the DACA program simply rings hollow. So how can we stretch – as a state, as a profession, simply as people who care – to reach these kids? Earlier this month, a team of law students from University of San Francisco School of Law traveled over 600 miles round trip on the Justice Bus – with a wonderful immigration attorney from La Raza Centro Legal – to bring legal help to these amazing youth. 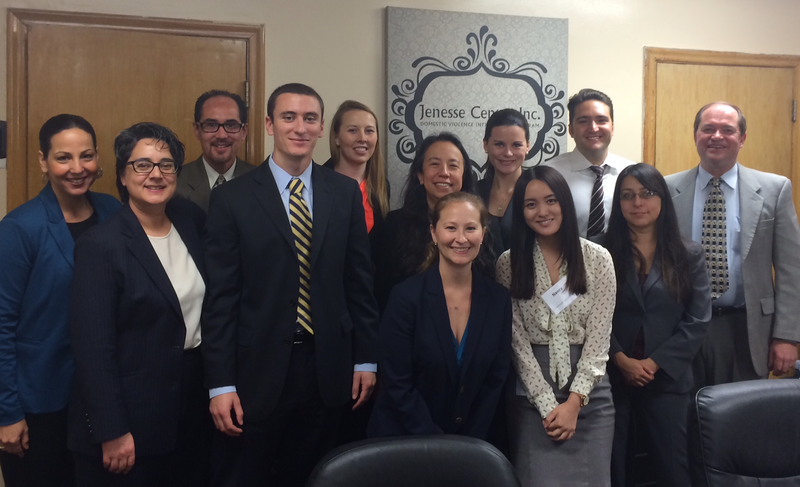 Running two clinics over two days, the law students provided 29 youth with immigration and DACA assistance. Their testimonials above tell their personal stories about why they traveled all that way to use their skills to give back. We are so lucky to have such committed volunteers! And it was heart-breaking to leave, knowing that unless the Justice Bus is able to return these kids and others like them will simply continue to go without any access to legal advice and assistance. We are so grateful to everyone who has donated to the Justice Bus Project and our Children’s Legal Aid Fund that makes these trips possible. We are 100% committed to raising the funds necessary to return to Humboldt again. We welcome you to join our efforts – as a donor, volunteer, or both! Recently OneJustice also had the terrific experience of partnering with Legal Services for Children on the video below that engaged DREAMERs and youth leaders in San Francisco in explaining the DACA program to other teenagers. The video is being used as part of a public education and community awareness-raising campaign. We were honored to be involved in supporting Legal Service for Children’s work in this area – and we plan to use the video in reaching out to the more rural and isolated counties, as well. Want more information about DACA? Check out the resources at Legal Services of Children’s page here. Want to help support Justice Bus Trips doing DACA clinics? It’s easy to give online here. Have suggestions and ideas about other ways our network can support these youth? Let us know! We welcome your ideas – comment here or on our facebook page! Hanh Vo is Principal Contracts Attorney at LinkedIn and a proud pro bono volunteer. Imagine if you were transported to a foreign land, penniless, not knowing the native language, surrounded by foreigners who you’ve only seen in fatigues. With just one day’s warning, my mother packed up our meager belongings, my brothers and I who were 7, 3, and 2 years old at the time, and left behind her home and her third child. My parents struggled with the idea of leaving all they had, but they knew that the option of staying was not an option. My father, who was a helicopter pilot for the South Vietnamese Air Force, would be quarantined in a concentration camp if they had stayed. Saigon fell to the Communists on April 30, 1975. On April 29, 1975, my father flew us out of Saigon while under fire from the Communists. Somehow, we made it in one piece to Thailand. From there, the Americans flew us to Fort Chaffee, Arkansas. My parents didn’t know how they were going to build their lives in this foreign country, but they did know that they had hope. Hope for a better future in the land of opportunity. We were one of the lucky ones. Volunteers, complete strangers from Ramer, Tennessee came to us. Strangers who have never set eyes on Asians before opened up their hearts and gave us a chance — a chance to make a better life for ourselves in their back yard. With support and encouragement from my mother, my father enrolled into college at the age of 32. He received his Electrical Engineering degree from the University of Oklahoma at the age of 36. His education opened doors for all of us. My brothers are Chemical Engineers both with MBA’s; my third brother eventually made it to the States in 1990 and doubled majored in Electrical Engineering and Computer Science. I was fortunate to go to law school, hoping that one day I could help others. When our General Counsel, Erika Rottenberg, asked for volunteers to head up LinkedIn’s pro bono legal program, I jumped at the chance. This was my opportunity to use my legal education to serve the under-served, to give back, and to pay it forward. 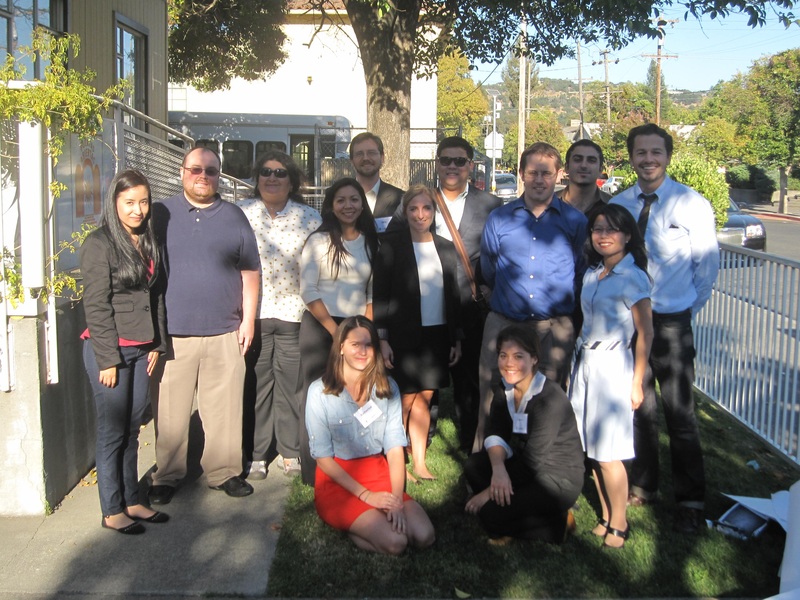 A team of 23 volunteers from LinkedIn’s legal department and Cooley LLP traveled with the Justice Bus Project to Napa County to bring life-changing legal help to 28 immigrant youth. On an overcast day in March, LinkedIn joined Cooley LLP and OneJustice on the Justice Bus and to work with the Legal Aid of Napa Valley in Napa, California. 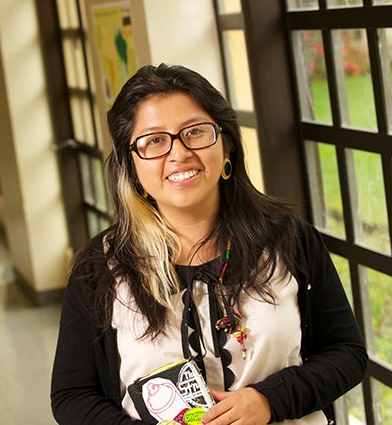 Our mission was to complete the Deferred Action for Childhood Arrivals (DACA) forms so that youth immigrants could have an opportunity to become legally employed in the United States. We met 28 applicants, completed 28 applications, and created 28 opportunities for legal employment. Just like the volunteers I met in 1975 who took it upon themselves to help an immigrant family start their lives over again in the United States, 23 volunteers took it upon themselves to help youth immigrants create economic opportunity for themselves and their families in the United States. I believe that we come to this great nation for economic opportunity and if we are fortunate enough, we may be able to help others become more productive and successful in their careers. 23 complete strangers opened up their hearts to 28 immigrants. At the end of the day, it was not the immigrants who truly benefited from our volunteer service, it was us.